Hair extensions come in a wide variety of options. 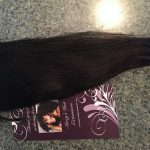 If you’re new to hair extensions, you may be wondering what about virgin hair extensions. Our virgin extensions feature chemically unprocessed human hair collected from a single donor. Donors can be Indian, Malaysian or Brazilian. Virgin hair is remy hair. It hasn’t been altered with dyes, perms, bleaches or harsh washes. 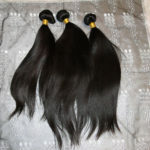 We exclusively use the highest quality AAA virgin hair on the market. Full Cuticle Malaysian Light Yaki – Select from 12-24 inches in length. This is steam processed to mimic natural black hair that has been relaxed bone straight. Offers lots of movement and is low luster with a medium coarse texture. 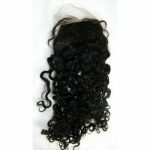 Virgin Malaysian Deep Curly Hair – Choose from 12-24 inches in length. This is one of the most exotic hair types available. It is heavier, thicker and more dense than Indian hair. It has more body and is less shiny. You’ll appreciate the very soft and smooth texture of this natural black, medium to low luster hair. 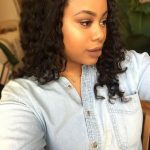 Virgin Malaysian Deep Wave Hair – In 12 to 26 inch lengths, this hair is exotic and features a deep wave. It is natural black with a medium to low luster. It’s shed and tangle-free for a carefree lifestyle. 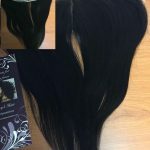 Virgin Malaysian Loose Wavy – Offered in 12 to 26 inch lengths, this loose wavy texture will blend seamlessly with your natural hair. It holds a soft wave pattern and can be styled any way you like. 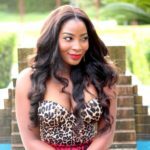 You can do anything with virgin hair extensions that you would with your own natural hair.